In my previous articles, I clarified that Americans in the U. S. do not have to be concerned about Acute Radiation Syndrome (ARS) from the nuclear accident at Fukushima, Japan, since ARS only occurs when there is a large amount of exposure to radiation in a short period of time. 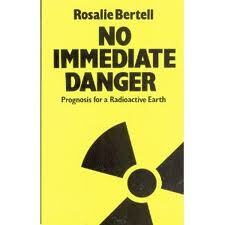 What we need to be concerned about is chronic radiation sickness. 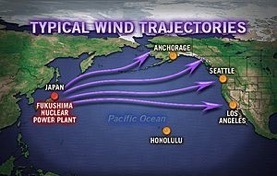 Even though the power of radiation particles diffuse after wind carries them to distant places from the accident site, most radiation particles have a long half-life. For example, cesium: Cs-137 has a half-life of 30 years Radiation particles can contaminate the water supply, food, environment, pets, and people. I have detailed the symptoms of chronic radiation sickness in a previous article. Now let’s look at what we can do to prevent chronic radiation sickness. Radiation burns and kills. It destroys the DNA in the white cells, and thus destroys the immunity. Therefore, the most important task in preventing chronic radiation sickness is to keep your immunity strong, so that your body can fight off the ill effects of radiation. Stay on our Herbal Detox program consisting of Yeast-Para Control and Cleansing-Balance Tea for at least three months in a row (if you are symptom free). If you already have some physical symptoms whether they are related to chronic radiation sickness or not, you need to stay on the Herbal Detox program until you are symptom-free. We all have yeasts and parasites in our body. When our immunity is strong, we can co-exist with these microbial organisms harmoniously. When our immunity is low, then our health is controlled by them. Yeast-Para Control is designed to remove excess yeasts and parasites in your body, and Cleansing-Balance Tea is designed to flush out the “debris”, especially from your liver and kidneys. These two formulas work hand in hand to keep your body clean and your immunity strong. As much as you can, avoid the Standard American Diet (SAD) that is loaded with sugar, dairy, wheat, yeasts, alcohol, caffeine, nicotine, and chemicals. It may be a tall order to follow all “Eight Commandments.” My suggestion is to do the most that you can. If you do 50%, you will get 50% of the benefits; if you can do 75%, you will get 75% of the benefits. If you don’t try at all, you get 0% of the benefits. My cookbook, Healthy & Tasty: Dr. J’s Anti-Yeast Cooking will give you many tips in terms of what you can eat, and what you should avoid, so that you will nourish your body and starve your little enemies within. Take a shower or bath before bed every night. Radiation particles can be washed off by a lot of water and soap. Better yet, take an Epsom or sea salt shower or bath before bed several times a week. A salt shower or bath not only relaxes your body, but washes off radiation particles that may have fallen on your skin. Vacuum your carpet or wipe your hardwood floor frequently. Follow the protocol by the Radiation Protection Office to handle and dispose of radiation-contaminated trash. Soak vegetables with a tea spoon of sea salt for 10 to 20 minutes, rinse off thoroughly before cooking. Peel the fruits that you would not ordinarily peel the skin, such as apples and pears, etc. Drink bottled water or use a purifier. Change filters more frequently than usual if you use a purifier. Sea vegetable such as kelp is an excellent source of iodine. One table spoon of kelp yields approximately 12 mg of iodine while the daily recommendated dosage is only 150 mcg (1mg =1,000 mcg). If you eat sea vegetables regularly, you don’t have to worry about taking potassium iodine (KI) to prevent thyroid cancer if exposed to a large dosage of radiation in a very short period of time. Shampoo your pets more frequently than usual. Radiation particles can fall on your pet’s fur and make you or your pet(s) sick. Make sure that you wash your hand thoroughly after you pet your pet(s). If you are on the spiritual path, you may know that natural disasters are the results of collective energy. Fear and anxiety breeds more natural or man-made disasters, while love and peace will help us handle all kinds of challenges. Given the choice, which do you prefer? For consultation on yeast-free nutrition, Chinese herbal therapy, stress management, spiritual counseling, and detoxification for chronic radiation sickness, please call us at (800) 715-3053 or send an e-mail to drj@drjsbest.com for an appointment. I can hold consultations on Skype or over the telephone as well.